The unique Great Yarmouth Rows are full of strange and sometimes macabre tales. 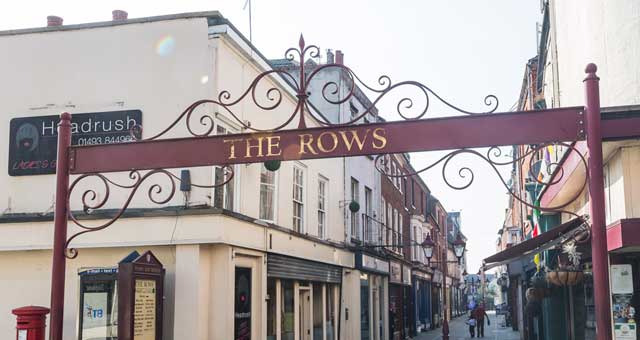 Our trained heritage tour guides will tell you stories of the wealthy merchants that lived at one end and of the bars and brothels that had their place at the other! Walk through to the historic South Quay, learn more about the beautiful architecture and the rise and fall of the herring industry and its importance to the growth of the town. Hear about the fisher girls and see where they sang, knitted and worked their passage home. Enjoy this walk for free as part of Heritage Open Days. Booking is essential as demand is high. Starting point for this walk is the Fisherman's Hospital.